Tooth whitening is a very popular cosmetic dentistry treatment that involves bleaching your teeth to remove stains and general discolouration. It is a safe and highly effective way to lighten the natural colour of your teeth without having to remove the enamel surface. If you are conscious of having stained or yellow teeth, a professional teeth whitening treatment can give you a confident new smile. This article on teeth whitening is written by Jackie Griffiths, a freelance journalist who writes health, medical, biological, and pharmaceutical articles for national and international journals, newsletters and web sites. Your teeth can turn yellow for a number of reasons. For many, it is a natural symptom of ageing. Over the years, stains creep into the enamel where toothpaste can’t reach, so while you may always brush and look after your teeth they will naturally look duller over time. Certain foods and drinks are more likely to stain your teeth than others. The worst culprits are carbonated drinks, red wine, tea, coffee, and berries, which all contain chromogenic (or colour-producing) agents. Smoking or chewing tobacco will also turn your teeth yellow, brown, and eventually black. It’s important to be careful which medications you give to young children – antibiotics which contain tetracycline cause yellow-brown and even blue-grey stains on still-forming enamel. Children who swallow a lot of toothpaste can also suffer from fluorosis which can be seen as white patches or lines on the teeth. Stains on the teeth can be divided into two categories: extrinsic (external) and intrinsic (internal). External stains are usually yellow or brown and can be treated with simple tooth whitening solutions. Internal stains are more grey or blue and require intensive teeth whitening treatment. Over the counter gel is a low concentration whitener, offering up to two shades of lightening. Treatment takes 1-3 weeks and may cause slightly sensitive teeth and gums as a side effect. However, it is cheap and easy to use with results lasting about a year. Brush-on formula is very much like toothpaste, so the treatment method is easy and familiar. Results show after about two weeks, although, it is short lived and you will need to keep using the formula on and off as required. Some formulas may cause bad breath due to the alcohol content. Whitening strips are an alternative to messy liquid treatments and come at an affordable price. They improve whiteness with only minimal tooth sensitivity with results lasting about a year. However, if you’re not careful during the application the strips can leaves lines on your teeth. Laser tooth whitening is excellent for yellow teeth. The dentist applies a composite whitening gel with a high peroxide content. A laser light activates the crystals in the gel, to lighten the teeth by up to six shades in about an hour. This kind of bleaching can make the teeth and gums more sensitive, so use a specialist toothpaste afterwards to reduce pain. Dental crowns are artificial teeth that sit over damaged or broken teeth. Often, this kind of damage causes serious decay so the effect of a crown is to hide the discolouration and produce a perfect white tooth. Crowns cost upwards of £300 and last for 10-15 years. 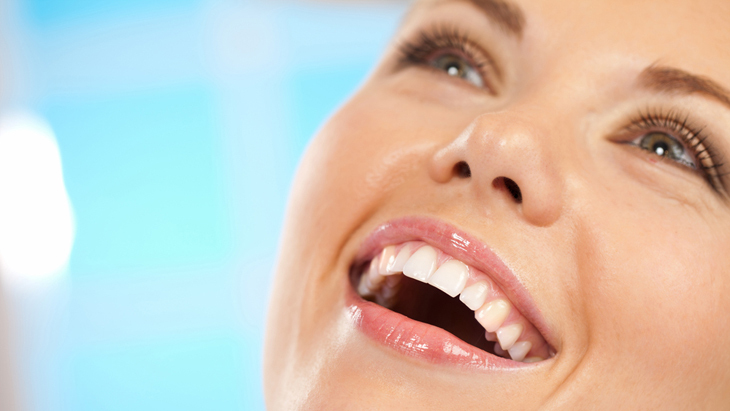 Porcelain veneers are wafer-thin shells tightly bonded to the front surfaces of the teeth. They literally cover up the discolouration to produce a set of matching pearly whites. Prices start from £200 and the results last for 5-10 years. Dental bonding is ideal for a single tooth that needs fixing. The tooth is coated in a special composite agent to artificially restore the shape and colour. It costs around £100 per tooth and bonding lasts for 5-10 years.